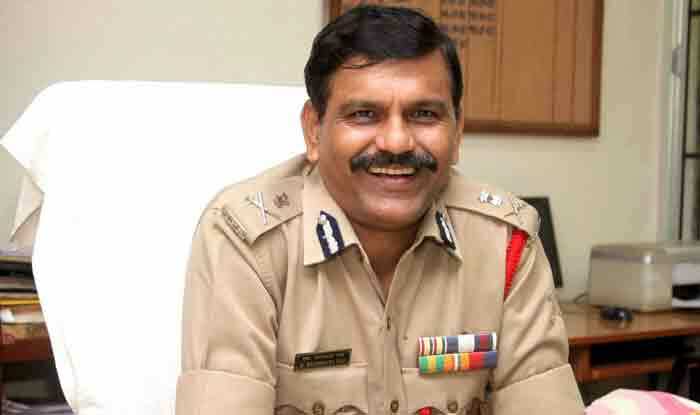 Interim Central Bureau of Investigation (CBI) chief M Nageswara Rao on Sunday took cognisance of agency officials being detained by the police in Kolkata as they reached the residence of Police Commissioner Rajeev Kumar to quiz him in connection with Rose Valley and Saradha ponzi scam cases. Rao accused Kolkata Police Commissioner of being instrumental in causing destruction of the evidence against him. “There is evidence against him (Rajeev Kumar), he has been instrumental in causing destruction of this evidence and obstructing justice,” he said. “We are investigating these chit fund cases as per the directions of the SC. An SIT has been constituted by the WB govt prior to SC’s direction under the chairmanship of Rajeev Kumar, who is currently the Kolkata police commissioner,” the Interim CBI chief added while alleging that the West Bengal government has taken charge of all the evidence and seized all the documents. He accused the Mamata Banerjee-led Trinamool Congress (TMC) government of not cooperating with the probe agency in handing over all the documents while claiming that a lot of evidence has been destroyed or caused to disappear. The CBI, meanwhile, has sought time from Governor Keshari Nath Tripathi to discuss the issue. The situation in West Bengal turned tensed after a 40-member CBI team reached Kolkata Police Commissioner’s residence to question him over chit fund scams. The team was stopped by the cops and denied entry into the house. Meanwhile, five of them were detained but were released later. Taking stock of the situation, CM Mamata Banerjee reached the spot along with Director General of Police and other senior officers. Following the meeting, she sat on a ‘Save the Constitution’ dharna at Metro Channel. Addressing the media, she accused the Bharatiya Janata Party (BJP) of torturing Bengal. “BJP is torturing Bengal. They are forcibly trying to destroy Bengal just because I did brigade rally. Yesterday you saw the language of PM where he threatened,” she said. The row erupted after the the IPS officer, who led a SIT of West Bengal Police probing the scams, allegedly stopped responding to notices asking him to appear before the agency. Kumar, a 1989-batch IPS officer, took over as the city police chief in January 2016.